This year’s Planatol Christmas fundraiser was held in aid of the volunteer fire department Thansau. The picture shows Planatol managing director Johann Mühlhauser with the coworkers Verena Rooseboom and Barbara Braun at the handing over of the symbolic donation check to the 2nd board Georg Stadler and the 1st commander Johann Reck. The donation is intended to support the fire brigade in their youth work. 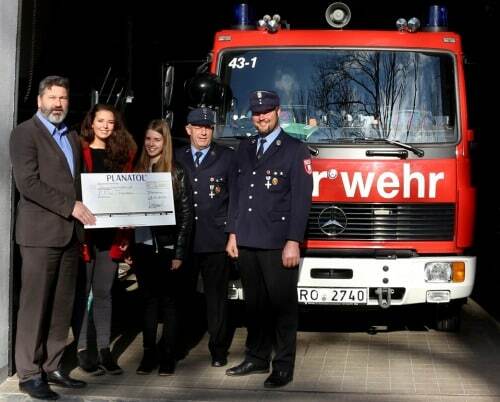 “After our donation for the Sozialwerk Rohrdorf 2016 this year, we were concerned to support the indispensable work of the Thansau fire brigade”, says Johann Mühlhauser.